Business Tradelines » Everything you need to know in one page! Business tadelines are different than personal tradelines, but you’re probably interested in them for the same reason: you need better credit for business funding. 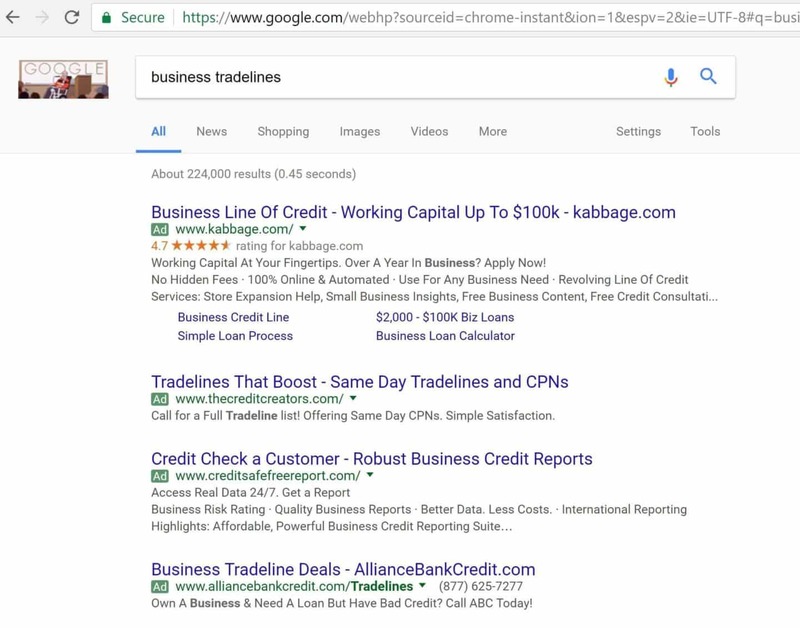 So, this page isn’t designed to sell business tradelines, but to answer questions which will help you stay focused on your goals (rather than be sidetracked into gimmicky terms). Here are the most frequently asked questions and answer for business trade lines. However, if the purpose is to further your business goals, such as funding and loans, then there is an indirect answer: You can purchase authorized user tradelines (a/k/a tradelines for sale) which can increase your personal credit score which you can use to personally guarantee a line of credit for your business. 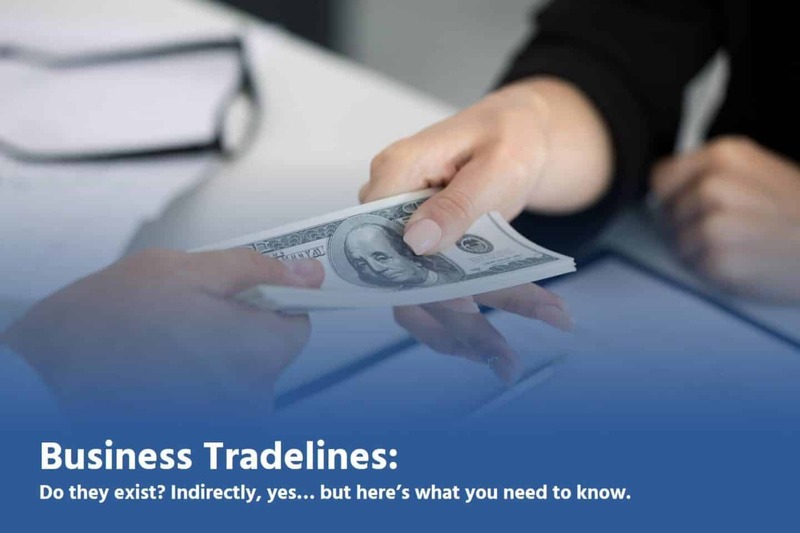 Well, see the question and answer above as to what “business tradelines” actually are… then, it makes sense when I say: Yes, business tradelines are legal. However, if you mean adding business lines of credit to a business credit file for a fee, I don’t know. I do know that this service isn’t offered. But, whether or not it would be legal if it existed is another question. You’re better off establishing good credit and signing for your business loans and funding efforts. Is it possible to establish business credit without personal credit? Sure, it just takes forever. Banks have slammed on the breaks in terms of “business loans.” In fact, I believe (this information is about 6 months old), unless you have $5,000.000.00 in revenue, they won’t lend to you at all. This is why most business funding experts have focused their efforts on unsecured business lines of credit. This is basically a credit card in the name of the company which relies on the business owner’s (or signer’s) personal credit. This is the main way the business tradelines are created these days. Do you have a recommendation for business tradelines? We know many who offer unsecured business tradelines of credit, but we’re not comfortable making a recommendation in this rapidly changing environment. There are some local companies and some large companies, but you can find them with a quick google search. Not all business tradelines are the same, especially in terms of, well, terms. Check on the rates and back-end fees (like a situation where they charge a total percentage of funding you receive). If you don't offer them, how will Superior Tradelines help in terms of business tradelines? That’s a very good question. First, we tell the truth. If you don’t achieve your goal, you’ll be upset with us. So, one of our main purposes is to make sure you’re on the right track. If we can’t help (such as credit repair, debt settlement, funding, etc. ), we will tell you and – more important than tell you what to do – we will tell you what to avoid (like CPNs, etc.). So, as far as business tradelines go… it’s irrelevant; we’re going to look at your credit situation, your goals, etc., and make a recommendation. It doesn’t matter what we call it… we’re focused on your goals. I’ve edited out your number, because this is a live comment area. However, I will have one of our people reach out to you concerning business tradelines. You’re more than welcomed to contact us and we can discuss that (free of charge). What’s your thoughts on personally guarantying a shelf corp? Hey Jaleem! Those are typically two different things. In terms of business tradelines, a “personal guarantee” usually refers to a person placing their personal credit as collateral for a business loan. This is similar to co-signing for someone with no credit, but in this case, that “someone” is the business. On the other hand, shelf corporations typically refers to a pre-established business entity, which has not been used for a while (if ever), where the term “shelf” came from (it was put on the shelf). The supposed benefit of shelf corporations is that they are established, so (again, supposedly), you are more likely to get PADEX scores and funding from banks. This is simply untrue (or very, very often untrue). We have a saying here at Superior Tradelines that “If you can obtain a business loan, you don’t need one.” After seeing so many people trying to obtain business tradelines and funding (with many creative efforts), it just seems to us that underwriting proceedures for business tradeliens and loans far exceeds the shelf corporation and personal guarantee techniques. Most banks – depending on the funding goal – require many years of profit generating history, $5,000,000.00 in revenue, etc. So, the days of “PAYDEX = Loan” are over (if they ever existed in the first place). Here’s my recommendation: Often times we look for solutions to goals and get yanked down the rabbit whole of options and lose sight of our goals. Smart people – like you – tend to be the victims of that because they overturn every rock (like personal guarantee and shelf corporations). You should “google earth” your situation (draw back with a larger view) and figure out what you need, specifically. It might not be funding at all (maybe, I don’t know). Superior Tradelines never borrowed a penny, for example. So, unless you have a unique situation (require expansion with trucks or paint supplies or machinery), focus first on income, make what you do make money… because, borrowing money is the opposite of making it. Again, sorry for the rant, but those are my thoughts.